Together, our lawyers bring more than 100 years of combined experience to the aid of the individuals we serve. We have litigated more insurance bad faith cases, in Oklahoma City's federal court, than any other firm in the state and recovered millions of dollars for our clients. Our attorneys have also been honored with numerous accolades over the years, including the highest possible rating (AV Preeminent*) by Martindale-Hubbell and inclusion in the "Top 100 Trial Lawyers" by the National Trial Lawyers Association. Because of our respected reputation, approximately 90 percent of our new cases are referred to us by other firms. 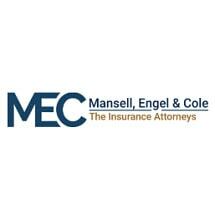 Request a free consultation by calling Mansell, Engel & Cole today. We handle all cases on a contingency fee basis, so we only get paid if we are successful.